The Rio Carnival is a carnival held every year in Rio de Janeiro, Brazil. It’s famous for its samba dancing and creative costumes that leave little to the imagination. The festival dates back to the 1700s, and streets will be filled with 2 million people per day. The festival usually begins on a Friday and ends on a Wednesday, but many Brazilians turn it into a 10 day holiday. The Carnival with 2 million people per day on the streets is considered the biggest carnival in the world. We ranked it top amongst the world’s 10 best festivals. 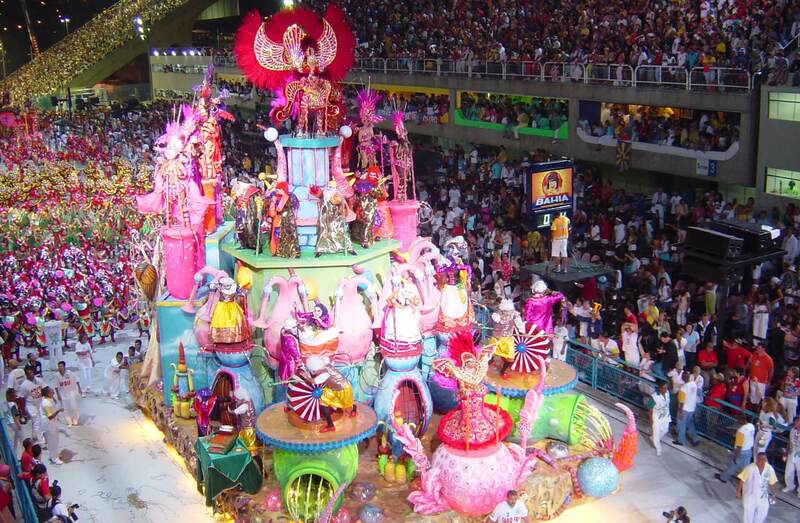 It also one of the best conventional and cultural celebrations in Brazil for tourists. Taking place in London, the Notting Hill Carnival is an annual event to celebrate the capital’s Caribbean communities, their culture and traditions. The event is held in the areas of Notting Hill, Labroke Grove and Westbourne Park and attracts around one million people annually. The carnival takes place on the August bank holiday Monday and the preceding Sunday. It features great live music, and this year’s celebration will feature 37 static sound systems, soca floats, and steel bands. Notting Hill Carnival is a significant event in British culture. Being one of the 10 best festivals around the world, it attracts more than one million people annually. It also one of the world’s largest street festivals. In addition, it was voted by the UK public onto the list of icons of England. Holi is a Hindu festival celebrated in India and Nepal. It is known around the world as the festival of colours. During the festival, people celebrate the victory of the good over evil. 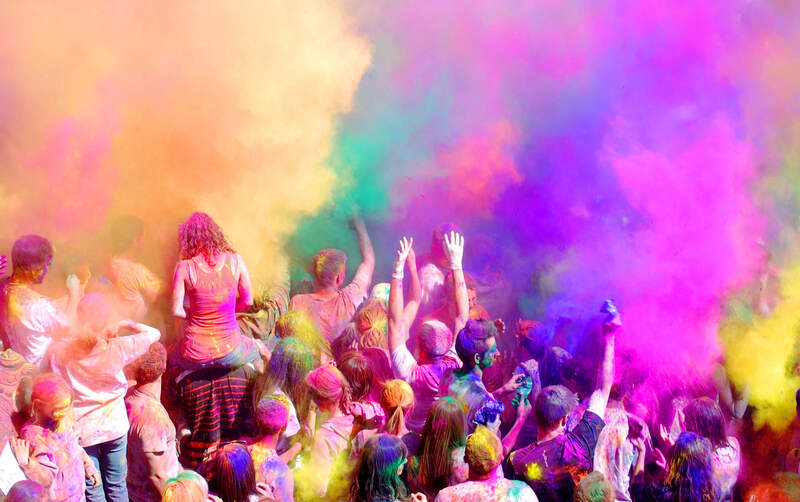 The festival features dancing, partying, eating delicacies and spraying colors on each other. The story behind the colors, which is coloured powder called gulal, comes from the legend of Krishna. He had dark blue skin and was worried his love Radha wouldn’t accept him, so he colored her face to match his. Held in the Valencian town of Bunol, La Tomatina is a festival where the goers throw tomatoes and create tomato fights for entertainment purposes. The tomato fights go on for a couple of hours.The festival is held on the 30th of August, and begins with the crowd climbing a grease pole and claiming the ham on top. 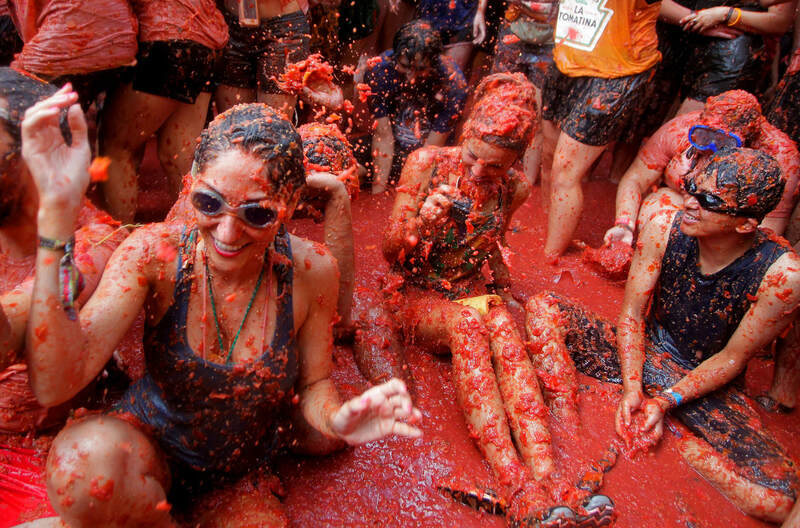 Once the ham is claimed, the legendary tomato fight starts. 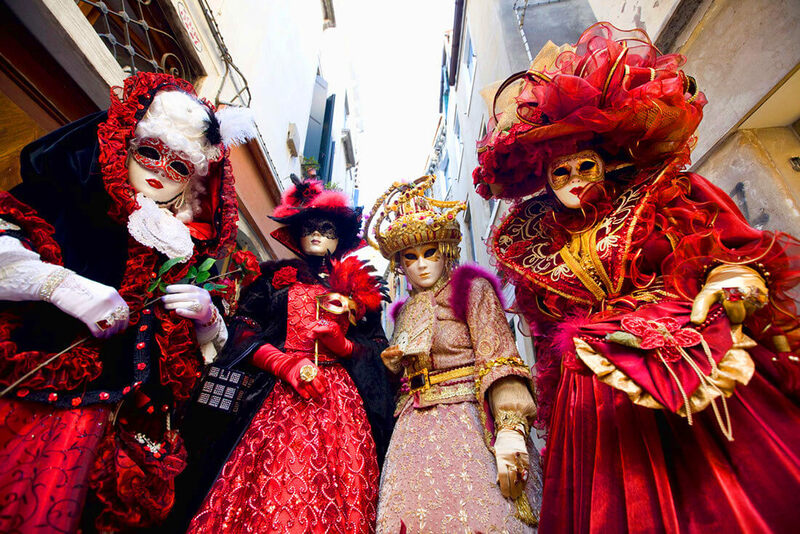 The Carnival of Venice is a festival held every year in Italy where people wear beautiful Venetian carnival costumes. It’s known worldwide for the elaborate masks. It’s a huge carnival that runs for two weeks and some of the events are free, some are not. The history behind the carnival was that during the 40 days of Lent, eating rich foods and drinks were banned. Therefore, people would to get their partying and eating out of the way before Lent. And that’s how the idea of the carnival came from. 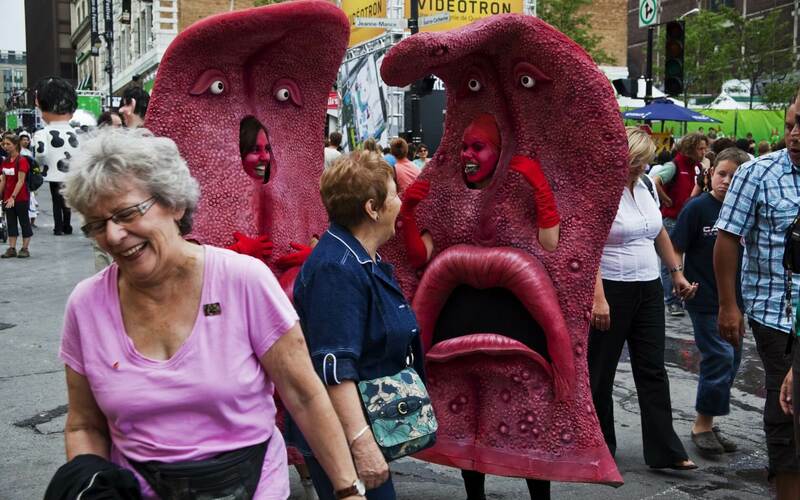 Just for Laughs is a Canadian festival held in Montreal, Quebec. It’s one of the biggest comedy festivals in the world. It was founded in 1983 by Montreal producer Gilbert Rozon. The Just for Laughs festival features a dozen of stand-up acts, comedy galas, themed shows and free events. It attracts two million spectators every year. 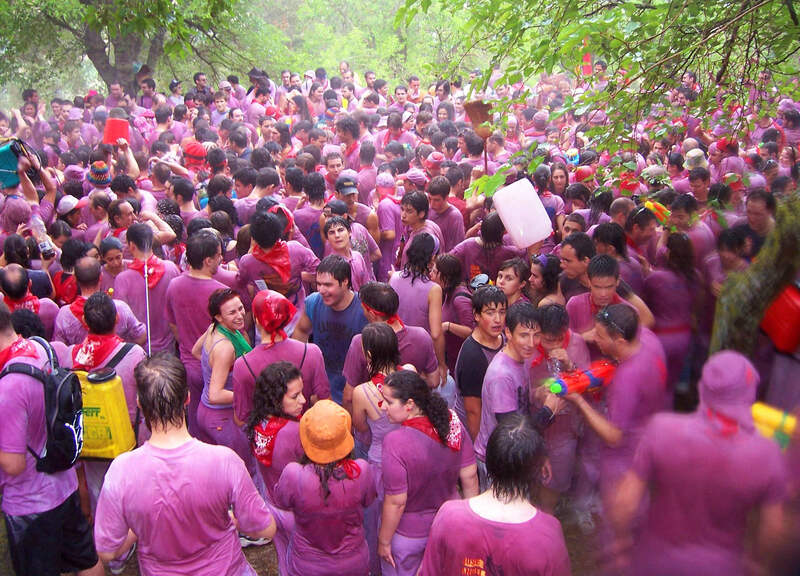 The San Vino Wine Fight is a festival held every year between the 27th and the 30th of June. The festival starts on the 27th at 7am where a bunch of people of various ages, including locals and tourists, dress in white shirts and red scarves and carry bottles, water pistols, and containers filled with wine. The festival goers climb a mountain in La Rioja, Spain, and pour the red wine all over each other. It’s one of the biggest parties that the town of Haro sees. After several hours of fun, people move into the town of Haro, and end the night with traditional dances. Krampunsnacht, or Krampus Night, is a festival celebrated in parts of Europe preceding the Feast of St. Nicholas. Krampus, is a horned figure described as half goat, half demon in folklore who punishes children who misbehaved during the Christmas season. 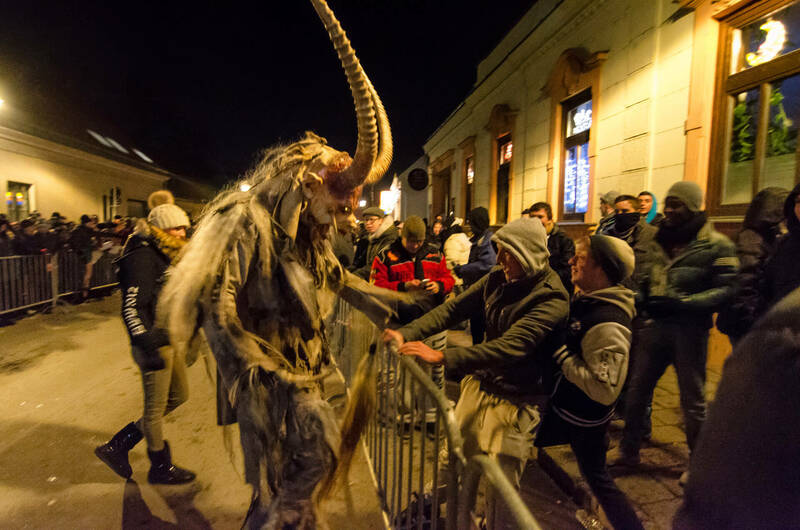 The costume of the Krampus is made out of a wooden mask and a suit made from sheep or goat skin. The folklore of the Krampus dates back to a thousand year. On the Krampus Night, Krampus is responsible to give out coal and ruten bundles. 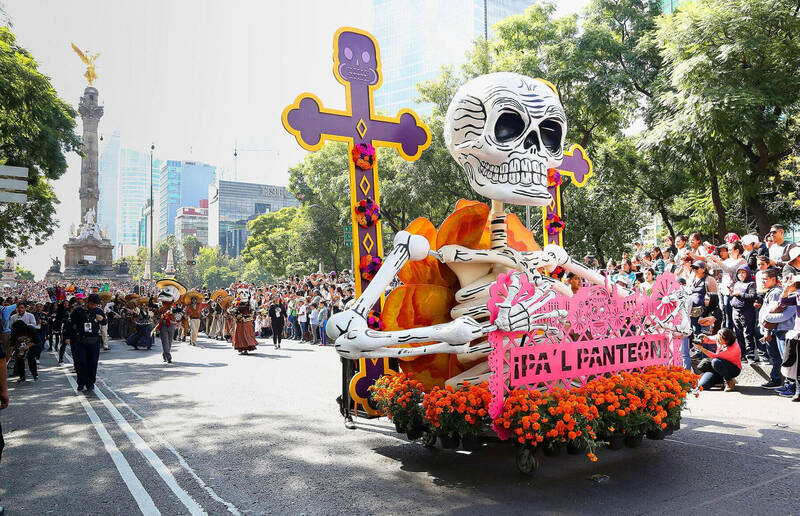 It is one of the 10 best festivals celebrated around the world. Widely celebrated on different European countries including; Austria, Bavaria, Croatia, Czech Republic, Hungary, Slovenia and Northern Italy. 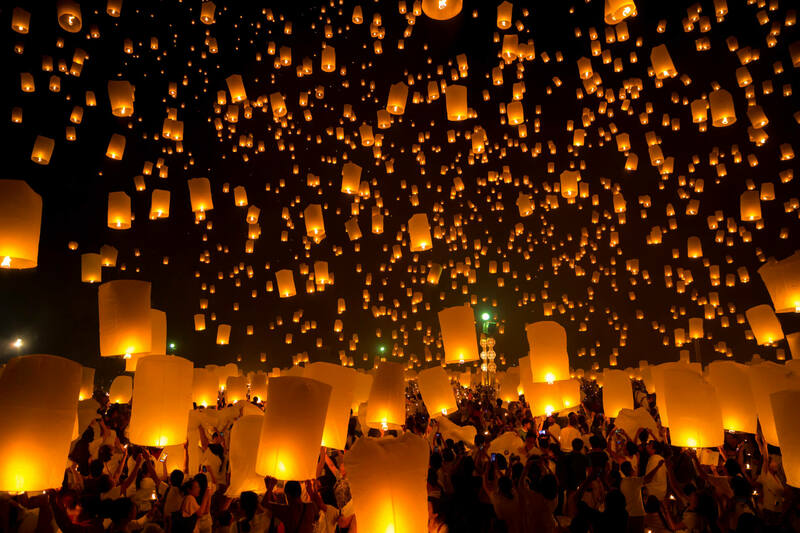 Loi Krathong is a festival celebrated annually across southwestern Tai cultures. In this festival, people gather around rivers or lakes and release lotus shaped rafts to pay respect to the goddess of water. The rafts are usually decorated with candles, incense and flowers. The reason behind the festival is to thank the water goddess after the rice harvest season, as well as an apology for polluting the water. The festival celebrated annually throughout Thailand, Laos, Shan, Mon, Tanintharyi, Kelantan, Kedah and Xishuangbanna. The celebration takes place on the evening of the full moon of the 12th month. It’s one of the 10 best festivals around the world.